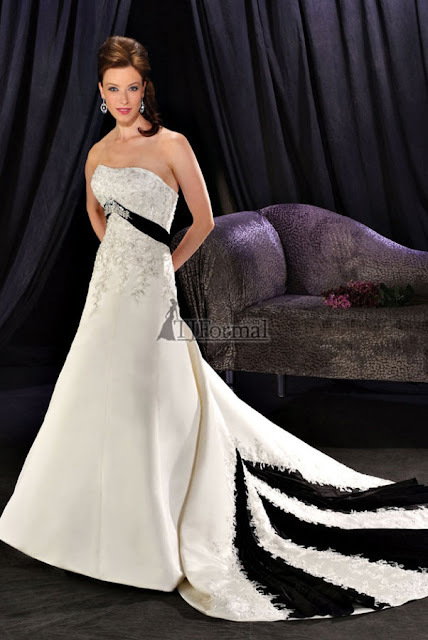 TJ Formal Dress Blog: Wear a two-toned wedding dress! "Weddings are wrought with tradition, from throwing the bouquet to cutting the cake. 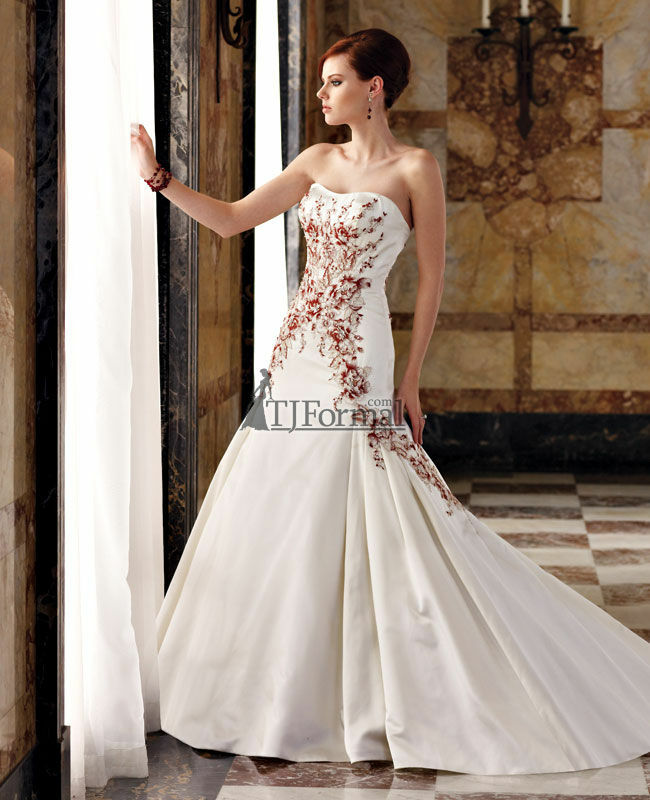 But donning a white wedding dress may be the most recognized custom. While some women eagerly await the chance to wear a white gown, other ladies ache for a little something different. But those daring fashionistas don't have to turn their back on this custom alltogether! Fashion forward brides can embrace tradition and make a statement by rocking a two-toned wedding dress on their big day. One of the best ways to incorporate a color into a white gown is to allow the two colors to blend in the fabric. The pure white of the dress' bodice can melt into a dusty pink toward the bottom of the skirt's hem, creating an elegant flow of color that won't shock onlookers, but will certainly hold their attention. When choosing the second color, women should consider the bridesmaid dresses as well. 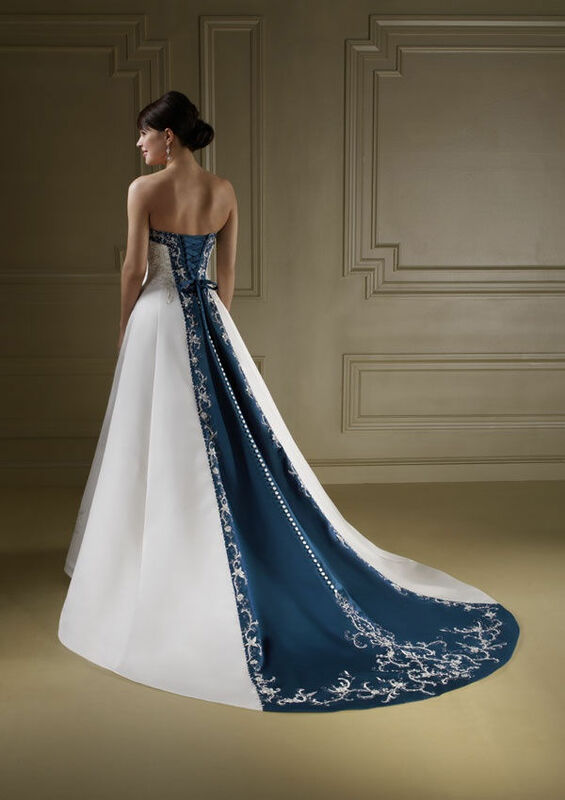 A wedding dress with a deep blue accent may fall flat against red bridesmaid dresses, but pop when surrounded by golden frocks. To emphasize this fabulous gown, brides can even match their grooms' accessories - tie, boutonnière, cummerbund - to their dress' second tone." This is such a good idea. I really like the idea of having a little color, but not going TOO far out with it. Just something to make the dress unique.